Wondering where to stay in Madrid with family? In this guide, we share the best Madrid hotels for families as well as the best areas to stay in Madrid. If you are not familiar with Madrid, choosing the best area for your accommodation can feel like a daunting task. The city is big and busy and looking at the map doesn’t do much when it comes to understanding the suitability of a street over the other: is the city centre the best choice with kids, or will it be noisy? Is it worth staying away from the tourist attractions or will you pay for the quieter nights with a long commute during the day? What are the best areas to stay in Madrid with kids? I have been to Madrid many times and while I have always perceived it as a family friendly city, I have some areas that I consider my favourite and that I now recommend as a first choice for anybody visiting the Spanish capital and especially to families with young kids. If you look at Madrid on the map, you will notice the name ‘centro’ marking the centre of town. This are is quite big and at its borders has the Royal Palace to the West and the big Retiro Park to the East: this is, in general, a good area to stay but it so large and so varied it is useful to have specific addressed to make sure you are as comfortable as you can be. In this post, you will find some of the best addresses in Madrid city centre for families and also some areas and establishments immediately outside the tourist centre of town that are a good option in terms of facilities and ease of transport. For your convenience, I also included a paragraph on transportation in Madrid with info about the (good) metro and train system serving the city. ‘Best location’ is, inevitably, a matter of personal preference and depends on the composition of your party and scope of the journey. For the purpose of this post, I define ‘best’ as convenient to the main Madrid attractions, well served, pleasant and safe and the budget goes from medium to high. The hotels recommended are chosen following the same criteria, on the basis of my personal experience and the recommendation of reliable friends: details such as the size of the room come directly from the hotel websites. Our top picks as best hotels in Madrid for families are Hotel Villa Real (5 stars) and Petit Palace President Castellana (4 star) both in great locations and with good facilities. Please note: the hotel links in the following section are affiliate links and if you make a purchase through them I will receive a small commission at no extra cost to you. I only review hotels I believe will provide you with a pleasant stay. The Paseo del Prado is a large, elegant street running from Placa de Atocha, where the big Atocha train station sits, to Plaza de Cibeles, a large roundabout with the stunning Madrid city hall. 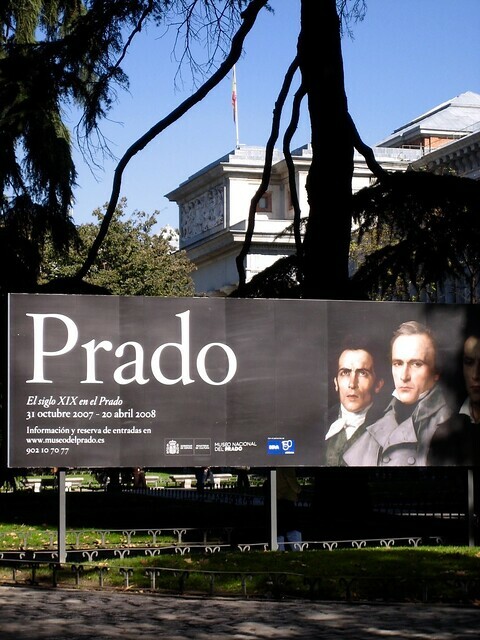 This area is a solid, if expensive, option for accommodation because it is safe, beautiful and very well positioned for sightseeing: the Prado museum, from which the street takes its name is here, and so are the must see galleries Thyssen Bornemitza and Reina Sofia art centre (the so called Golden triangle of Art). A plus for families with kids but also if you fancy proximity to a really beautiful and vast green space, very close to the paseo you have the Buon Retiro Park: as the name suggests (the pleasant retreat park) the park is perfect if you feel like a break from the beautiful but busy city streets. Built in the XVII century, the park belonged to the Spanish Crown for about 200 years, when it was declared a public space. Over the course of 200 years, many members of the Royal family left their mark on the park and now it’s a beautiful space full of attractions including ponds, fountains and crystal palace’ now hosting exhibitions. A beautiful hotel in one of the most prestigious locations in the city, it has well-equipped family rooms, particularly good especially for families with slightly older children (the rooms are on two floors which can be tricky with toddlers). The family rooms at Villa Real hotel (35 sqm) accommodate 4 people and sits on two levels, each with a bathroom. Each room has a sitting room and a private terrace. Just to the north of Paseo del Prado, the Salamanca district may seem a little detached from the centre, but it is a beautiful safe area, perfect for families, and Madrid’ excellent metro system means it is a short hop away from Madrid’s main attractions. This are is elegant and chic and the choice of hotels reflect that: Gran Melia Fenix and Hotel Villa Magna are regular features as the best addresses in Madrid. Family rooms (28 sqm): the rooms recommended for families are ‘quintuple room’, equipped to welcome families with up to three kids. the rooms ar spacious and have all amenities (including wi-fi and mini bar) and accommodate children beds (bunk beds) and baby cots. Another beautiful area, just across the road from Salamanca district, Colon is an area I recommend as beautiful and well served. The first impression when arriving in plaza Colon is likely to make you think of a business district rather than a family area, but the streets away from the main Colon square are quiet and residential and have some great family friendly food options including one of our family’s top picks: Mama Framboise, serving excellent breakfast. Centro Colon is an aparthotel offering self-catering, short term rental apartments with kitchenette, microwave and fridge. They are a good choice for families as you have the independence of the apartment but also the convenience of a 24h reception service: apartments come in different sizes such as studio and double studios and cots are available for free on request. One of my favourite squares in the whole of Madrid and a popular spot for people willing to hang out with a drink in outdoor terraces, Placa Santa Ana is very much in the centre of Madrid, within walking distance from major landmarks such as El Prado, the Thyssen Bornemitza gallery and Atocha station. A busy square at night, it might not strike you immediately as a family friendly place, but if you can stay at the ME hotel just right on the square, you will soon change your mind. The location of Placa Santa ana is second to none, right in the centre of everything: the square is beautiful and surrounded by historical building, it has some gorgeous restaurants serving tapas pretty much at any time of day and night and it is a stone throw away from shops and supermarkets. One of my favourite hotels in town because of its very central location and super friendly staff (you can read my full review here). The hotel doesn’t advertise facilities specifically for families but it is convenient and well equipped and the square has a small but good play area right in front of the hotel. Atocha is the main railway station in Madrid and an easy choice for families in terms of ease of access and transport available. 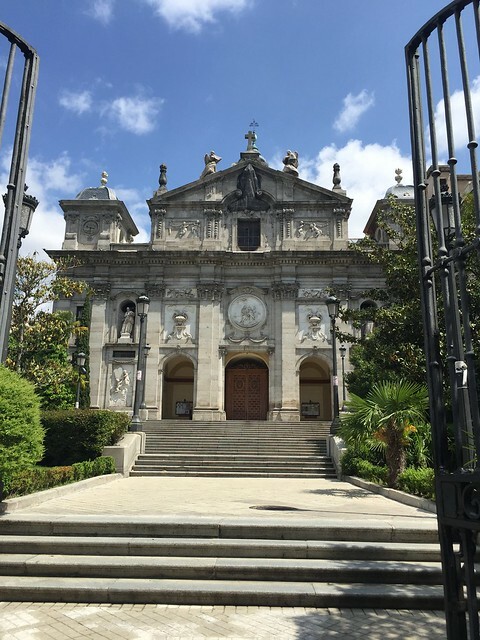 Compared with other areas mentioned in this post, it has good budget friendly options and it is a solid choice for art lovers (it is very close to Madrid’s main museum) and a good base for city sightseeing. A lovely, two bedroom apartment located a couple of metro stops south of Atocha, close to El Retiro and the city centre. The apartment is small but perfectly equipped, with two double bedrooms. This is where we stayed during our last trip to Madrid: in our case, we had it as a home exchange but the apartment is listed on booking.com and is a great option with full cooking facilities. Recommended for families with one child . The hotel has a tour desk with friendly and competent staff that can help you plan city tours and day trips. Hotels with swimming pools always get my vote, when it comes to city accommodation for families so I also put together a list of the ones that do boast a pool to make your search a little easier. Madrid is served by an extensive and well-functioning public transport network made of underground trains and buses. As a tourist, I find the metro the easiest and fastest system to move around town: the stations are marked by a white, blue and red rhomboidal sign marked ‘metro’ and the stations are frequent and clean. Madrid metro tickets are sold at the stations by automatic machines (touch screen, multiple languages) and they come in various forms including single journey and multi-day options. For slightly longer distances or to go from one train station to the other, another good option is to use the ‘cercanias‘ system, the commuter trains. They are marked by red signs and usually share the station with the metro. At the start, this division between metro and cercanias may seem confusing, but it doesn’t need to be: the two systems are equivalent from the point of view of the end-user and all you need to do is to make sure you get the right ticket for either one or the other. These are sold by separate machines (clearly marked) and the automatic doors will not let you in if you have the wrong one, so there is no risk of getting caught with the wrong fare on the train. the bus connects the airport to the city centre in about 0 minutes and at the time of writing costs 5 euro one way. It is an express service and stops in Plaza Colon, Placa Cibeles and Atocha. The metro system connects the 4 Barajas terminals to the city centre and tickets and the station is inside the air terminal itself. Tickets can be bought at the automatic machines at the station. Please note: the journey to and from the airport requires payment of a supplement: make sure you select the appropriate ticket (or the additional fare should you already have a standard ticket) before boarding the train.